Hanoi (VNA) – Hanoi recorded positive economic figures in the first quarter of 2019, making the capital city one of the top 10 localities with the best economic governance quality, according to Vice Chairman of the municipal People’s Committee Nguyen Van Suu. Delivering a report at the 18th meeting of the municipal Party Committee on April 10, Suu said Hanoi sustained a growth pace roughly equivalent to that in the same period last year as the gross regional domestic product (GRDP) grew by 6.99 percent in the first quarter of 2019, compared to the 6.98-percent rise in the first three months of 2018. The state budget revenue reached 68.1 trillion VND (over 2.9 billion USD), equivalent to 25.9 percent of this year’s target. Total investment in society increased 10.5 percent, compared to the hike of 9.5 percent during the same period last year. Meanwhile, the consumer price index climbed 3.96 percent during the past quarter. 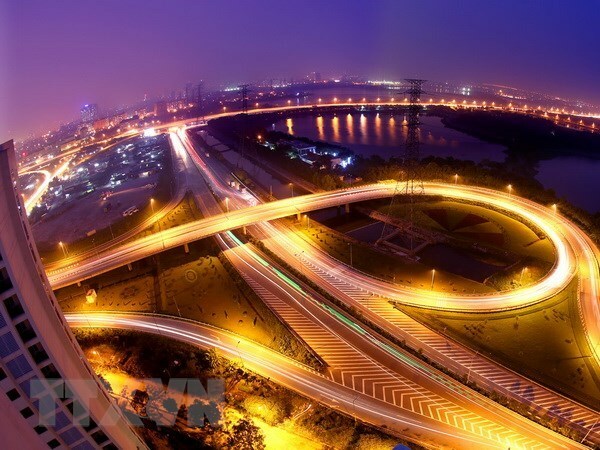 He added that with maintained urban technical infrastructure, Hanoi has continued to ensure adequate power and water supply, water drainage, wastewater treatment, environmental hygiene, and lighting. Although smog levels have increased, automatic monitoring stations have been able to update locals on the air quality in a timely manner so that people can respond appropriately. However, the vice chairman also admitted certain problems, noting that some growth indexes were lower than the same quarter of 2018, while the African swine fever epidemic remains a risk that may affect agricultural production and tourism. At the meeting, Secretary of the Hanoi Party Committee Hoang Trung Hai applauded efforts by all-level authorities and sectors which produced outstanding results in Q1. He said those outcomes have created important momentum for the fulfillment of this year’s development tasks.